Breaking The Horizon is a home decorative artwork that you can instantly download and print. 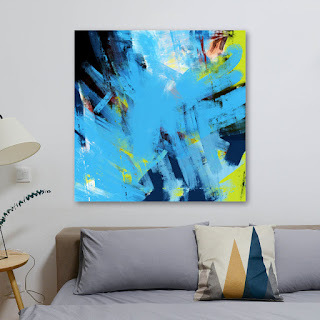 In an effort to make owning art and improving the esthetic feel of your home, I have been offering a few of my abstract artworks as an instant download. That means you can put art on your walls in a quick and affordable way because there is no shipping and you do the printing. 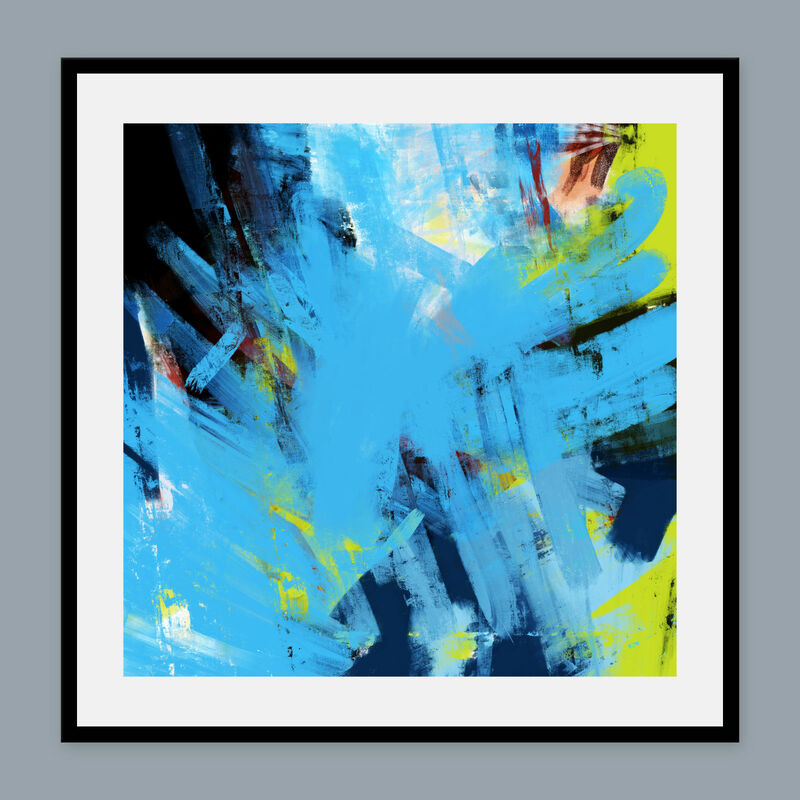 Breaking The Horizon is a super large square abstract. The main color is baby blue with accents of lime green. It's 48 x 48 inches. Being a 1 to 1 ratio, resizing to another desirable size is so easy. How does this work? That's simple, too. Like Etsy, once you have purchased the file for download, you are sent to a private cloud storage that houses your new artwork. Next, you download the file, the instructions and the help file. My recommendations are to take you file to a local printer, but you can also upload your file to any Print-On-Demand website like Printful. Remember, this is an instant download art file. You will not be shipped anything.